So your dog has fleas. Here’s how to get rid of fleas on dogs quickly without a prescription. Being a pet owner is expensive. And the more pets you have, the more expensive things get. 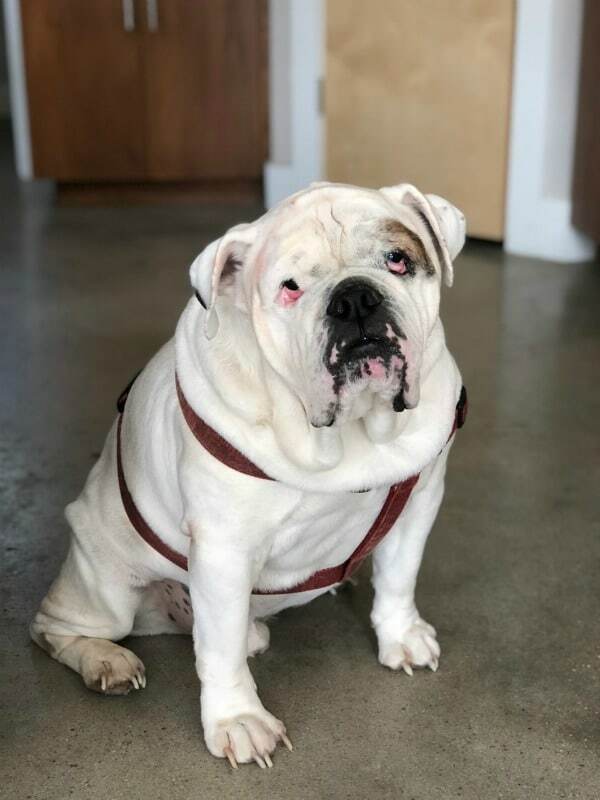 Right now we three dogs – two English Bulldogs and a chihuahua. 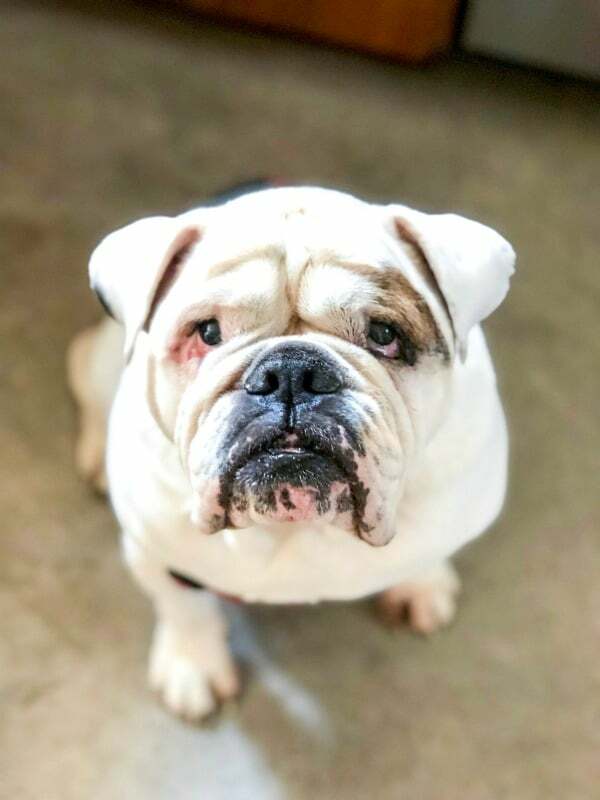 Bulldogs are high maintenance and known for having health issues. Some based on their breed and build. But all dogs have accidents or minor ailments from time to time. We can’t afford going to the vet for every little thing. So we try to find ways to do things at home and save on our vet bills. We learned that in Texas, the bugs don’t die in winter. You have to give tick and flea remedies year round. The lifespan of a flea is approximately 100 days without a blood meal. This means that even in cold climates, fleas and ticks can lay dormant for several months without hatching. The good news is PetArmor Plus helps break the flea life cycle by killing flea eggs and flea larvae for up to 12 weeks. It also kills ticks that may spread Lyme disease and chewing lice. Do you want to know where the last case of fleas came from? An annual visit to the vet. Well, it’s never annual in our case but rather a yearly vaccination/check up visit. When I found out my dog has fleas, it was the worst. Especially when my dog sleeps with me. But don’t worry if your dog does get fleas or ticks. It’s not a pet parent fail. Guess what? Getting rid of fleas doesn’t require a prescription to get vet-quality flea and tick medication. And it doesn’t have to cost a fortune. Part of the reason I took the winter off from giving my dogs flea and tick medication was the price. Now I don’t have to worry about that. The best way to get rid of fleas on dogs is with the PetArmor Plus flea treatment. And I’m super excited I can now grab it at PetSmart. This will make taking care of my bulldogs so much easier because I can get it while I’m buying my other pet supplies. It easily treats flea infestations on dogs and prevents future problems. It can be used for protection, prevention, and/or treatment of fleas and ticks. 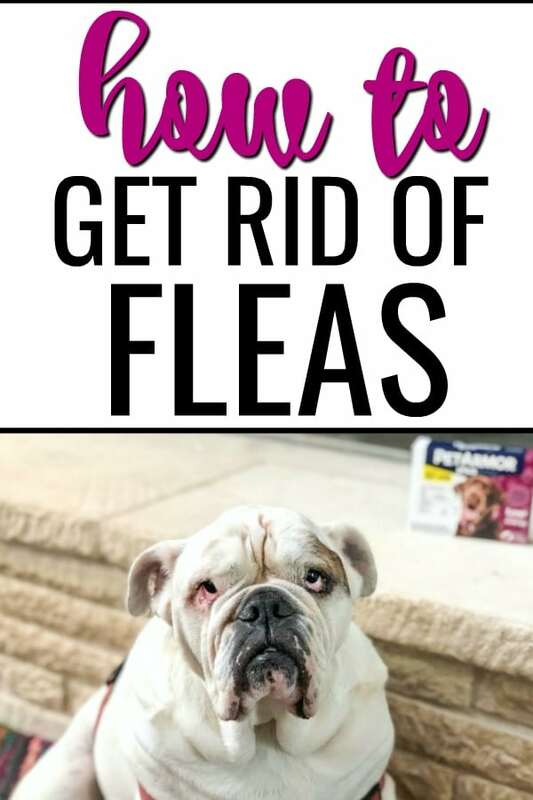 You can get rid of fleas on puppies with PetArmor Plus as well. However, it should only be used on dogs over 4 pounds and over 8 weeks of age. It can be used on breeding, pregnant, and lactating dogs for even greater flea control protection. Make sure to check out these other tips for new puppy owners. 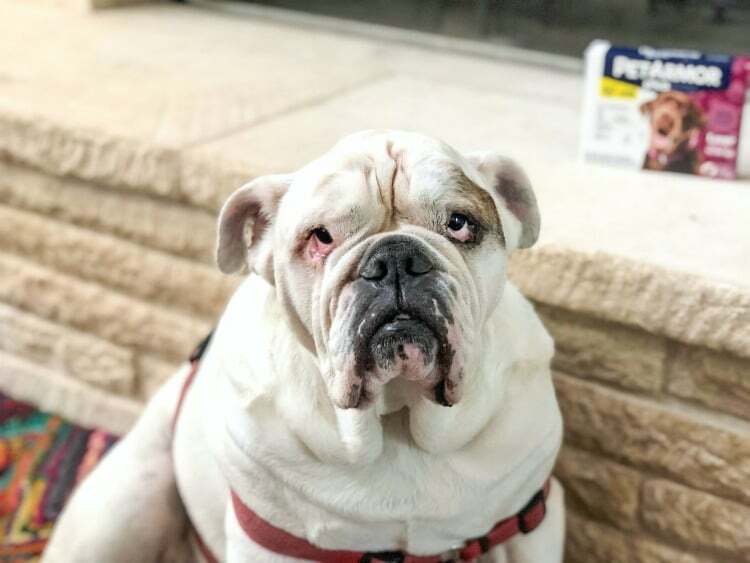 In addition to the puppy/small dog weight table of 4 to 22 pounds, PetArmor Plus for Dogs is also available in these other weight breaks: medium 23 to 44 pounds, large 45 to 88 pounds, and extra large 89 to 132 pounds. Applying PetArmor Plus flea removal to dogs is easy. Open the product package and remove product tubes. Separate one tube from others. Holding the tube with the notched end pointing up and away from your face and body, use scissors to snip off the narrow end along the notched line. On your dog’s back between the shoulder blades, inver the tube to separate the hair and squeeze firmly to apply solution. Keep pets separated from each other and children for 24 hours after treatment and until product has dried. This will help prevent other animals from accidentally ingesting the solution from licking or grooming one another. Do not attempt to split doses between dogs. Use the appropriate weight bracketed product for each pet (see above). There is a separate formula of PetArmor Plus just for cats over 1.5 pounds and over 8 weeks in age. 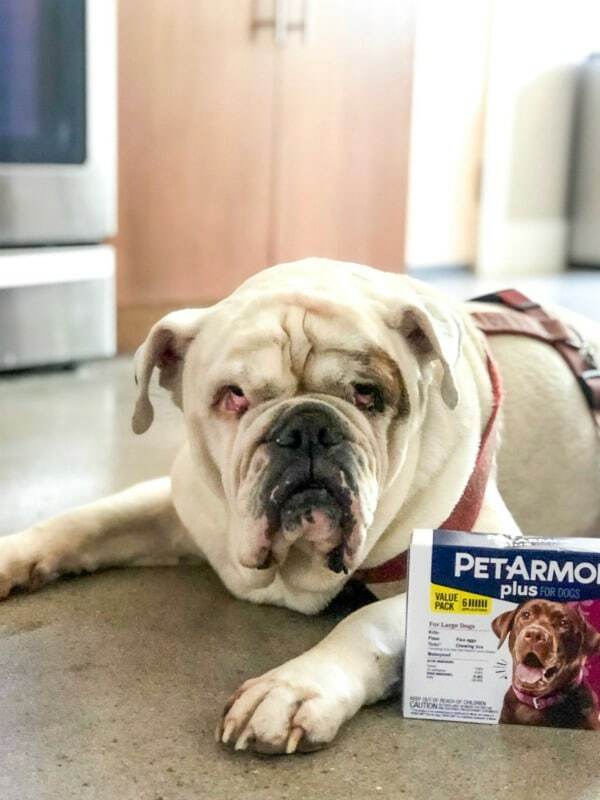 Right now at PetSmart, you can save $5 off PetArmor Plus for Dogs or Cats, 3 ct. here. Valid March-September. Do you have any other tips on how to get rid of fleas on dogs? Share them with me in the comments!